InMotion Hosting is a premium business-class web hosting provider that Top Five Advisor has trusted for several years and strongly recommends. Our favorite feature of their service is the fact that they will automatically install WordPress for you during the sign up process if you’d like, meaning, one of the biggest headaches of getting a WordPress website going is already done for you just by singing up. If you are interested in learning more about all of InMotion Hosting’s features, be sure to take a look at our InMotion Hosting review which goes more in-depth with their features. 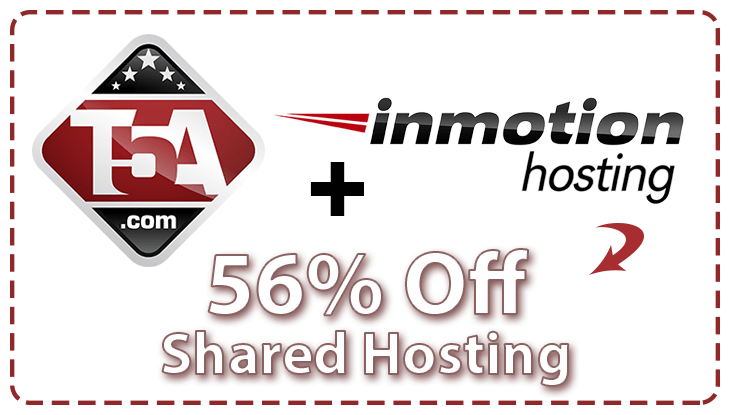 Using the button below, you will instantly activate a discount that will save between 53% - 56% off instantly on any InMotion Hosting business hosting package. All plans include faster SSD storage, a 90-day money back guarantee, free data backups and easy Google Apps integration. In this guide, you will learn the full process to claiming your InMotion Hosting discount including a full walk-through of the ordering process and our recommendations. There’s several choices that you will face during the ordering process which I will gladly help you through to make your order as quick and easy as possible. In order to activate the discount, you will need to click the button above. This will open a new browser tab in your browser so that you can continue to follow along here and complete the order process in the other tab. I’ve highlighted the plan I recommend for most who are starting their first website. The reason I recommend this package is because it offers the biggest InMotion Hosting discount at 56% off and typically provides everything a customer would need. When should I choose the Power or Pro plan? The only time these should be considered is if you need to host more than 2 separate websites or need to host an E-commerce website. In which case, the power plan allows 6 websites and E-commerce features. Don’t worry. If you are just starting out and you think you will need to have more than 2 websites, you can always submit a support request and upgrade your plan at any time. After clicking the “Order Now” button, it will take you to the following page with 7 choices to choose from. I recommend selecting the 12 months $3.99/mo (55% off) option. This will allow you to maximize your savings without needing to commit much larger amount. The Internet future is an unknown, you won’t know if your website will be successful, still be online or if the web host will need changing. It’s best to stick with the 12 month option for most. Under Launch, click the 12 month option and then click the continue button. On this page, you will need to figure out the domain name you want to use if you don’t have a domain name already registered or select the “I already own this domain” option if you’ve already registered. Even though this page shows a $14.99 fee, using the discount link on step 1 will also give you a discounted $11.99 domain name which will be shown on the final checkout page. 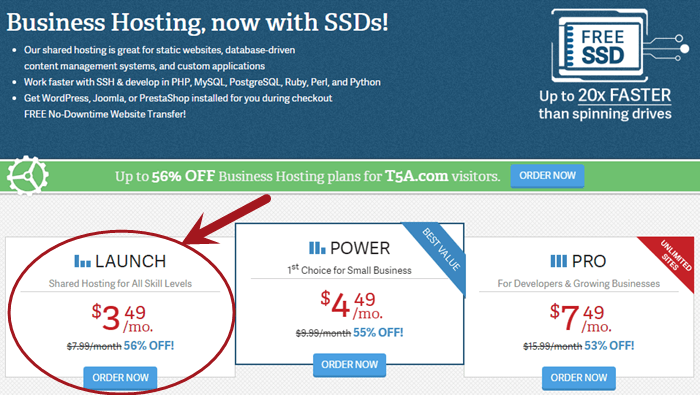 Pro Tip: You can get a seriously discounted domain name with GoDaddy. The offer changes but typically it is $0.99 – $3.99 for the first year. Click here to activate your GoDaddy coupon. The problem is there’s an extra step to change your domain nameservers to InMotion Hosting, however, InMotion has a helpful guide available to walk you through the process (or I can help you if needed). Try the domain name you’d like to register to see if it is available and proceed once you find a domain you love, or, select the “I already own this domain” and enter your registered domain name then click continue. 5) Step 3 of 4? Click Continue. Easy! This page confirms that your domain name is available for purchase or confirms your domain name transfer. It also offers the option to upgrade your plan which should be ignored. All you need to do is click continue here. You're On The Final Page! On the final page, the first thing you will see is Max Speed Zone with the option of East, West or Not Sure. If you and your customers reside closer to the US East Coast, then select East. Otherwise, you can choose West to have your side respond slightly quicker to those on the US West Coast. Either option is good and the choice is completely up to you. Next, enter your address, phone and email information. Referred By: Scott Buehler. You can skip this field but I would appreciate it if you entered my name to help InMotion Hosting track who is sending them sales. Domain Privacy: You can sign up to InMotion Hosting with a non-primary email address to help protect your primary email address from WHOIS spam. For most, you’ll save $9.99/yr if you select No Thanks. 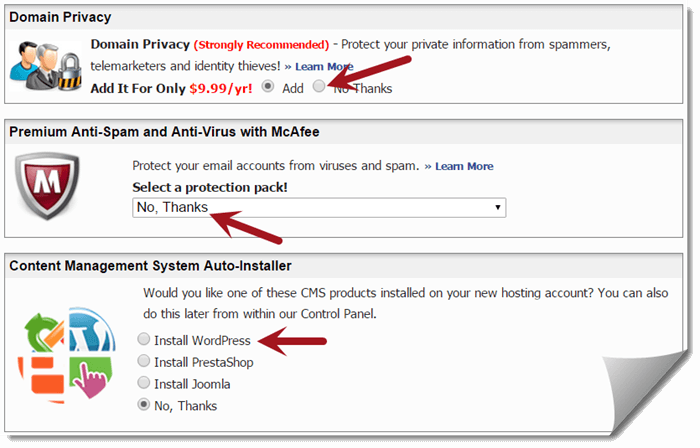 Premium Anti-Spam and Anti-Virus: Keep this selected with No, Thanks. Every host already offers anti-virus protections on all servers to protect the environment for all customers. You won’t need the anti-spam options and even if you did, you are better off going with Google Apps because Google offers superior anti-spam algorithms. Content Management System: This is something that only InMotion Hosting is offering currently. They will automatically install WordPress for you on your domain name so you won’t have to worry about it. THe service is totally free and recommended if you know you want to use WordPress. Enter your credit card information. You will notice that your fees will only be between $47.94 and $59.93 depending on whether you registered your domain name through InMotion. Click the Purchase Account button to complete your order! Congratulations! Wait a few minutes for InMotion Hosting to send you the details of your order in email. They will also send you important information on your new web hosting account including a username and password to access to your Account Management Panel (AMP). If you need any help with your new account or hung up on something, please feel free to use the contact link on the upper right of this page. I will be more than happy to help you with any suggestions, advice or WordPress support you need. If you need additional help or want recommendations, consider my full suite of digital marketing services! Whether you need more leads, sales, traffic or suggestions to help your site rank better in search engines, simply use the contact link on the top of this site and get in touch. 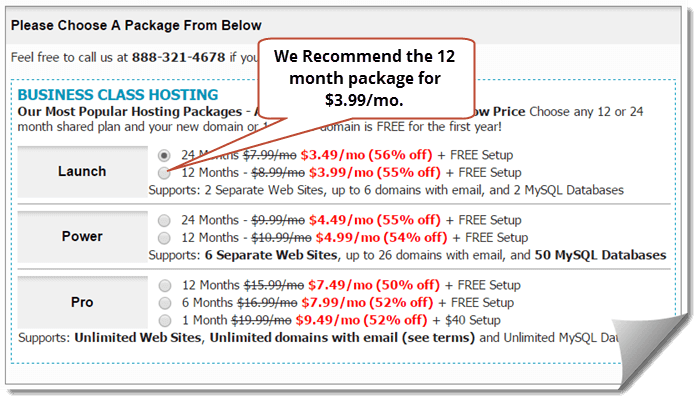 Mention you ordered through this InMotion Hosting coupon page and I’ll throw in a lifetime discount on any of my services.